Veterans and rookies. Sometimes they don’t get along, and most times they don’t speak the same language. But they need each other. A striking example of this is the twosome of Kareem Abdul-Jabbar and Earvin “Magic” Johnson. Magic came into the League in 1980 and, in his rookie season, won an NBA Championship with Kareem. Kareem was a wiry veteran who had already won, but was hungry for more. His old legs and winded spirit needed a boost. And he got a big boost in the person of Magic. 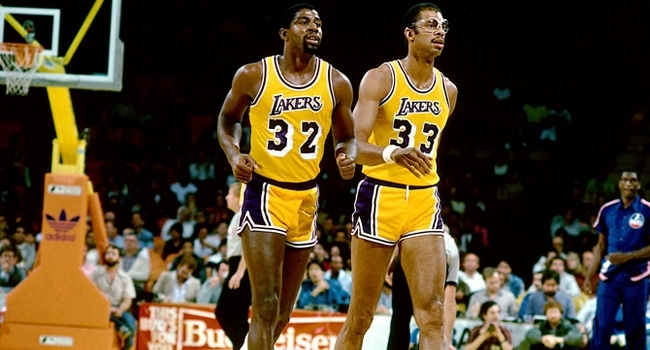 The two went on to win 5 titles, and this tandem and the rest of the L.A. Lakers were nicknamed “Showtime” because of their flashy style and their dashy play. 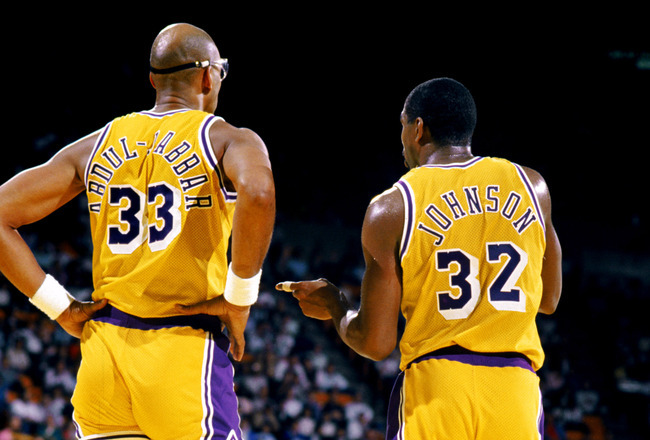 Kareem and Magic were the perfect veteran-rookie combination of creative tension. Part of their mystic and charm lie in this creative tension – the creative tension between their ages and their positions allowed each to compliment the other, as both could learn and teach the other a thing or two. This duo dominated professional basketball in the ‘80s, as they were a force to be reckoned with. Likewise, there are tandems of veteran-rookie generational tag-teams in Scripture. Moses and Joshua. Elijah and Elisha. David and Solomon. Naomi and Ruth. Paul and Timothy. These pairs are examples of a savvy veteran balanced with a spirited rookie; an old-hand and a newbie; a professor and a pupil. Every great team has this pair, and each team and generation needs to pass down its experience and expertise to the next. Veterans have the advantage of experience and rookies have the advantage of youth. Coupled together, this combination can be a bona-fide lean, mean, winning machine. The Bible says that “one can chase one thousand, and two can put ten thousand to flight” The power of cross generational unity cannot be overstated. Likewise, in our present day, we should look to couple the veteran with the rookie. Both will benefit; both will gain; both will profit. At home, work or play; in church, in government, in education, in medicine, the veteran and the rookie should be so tied together that they are inseparable. Fathers and sons, mothers and daughters, each and all have something to learn from the other. Veterans and rookies; rookies and veterans. In sports these two go hand in hand, and so it is, or at least should be, with life. So if you are Moses, who is your Joshua? If you are Naomi, who is your Ruth? If you are Timothy, who is your Paul? Find and link with the mate you must teach and learn from; hang on to them for dear life, and don’t let them go.